Tree Martins are a small bird common throughout much of Australia, plus PNG and other islands in the area. They are very similar to the Fairy Martin, which has a red head and whiter rump - this rump makes the two species easier to differentiate from the larger Welcome Swallow, along with the shorter tails. 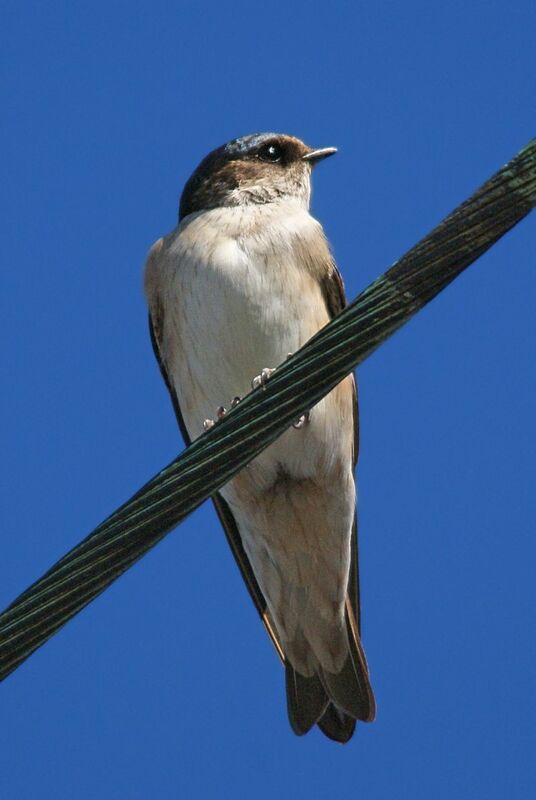 They can be found in urban areas, often on telephone wires and associates with other swallows and martins. 12.5-14 cm.